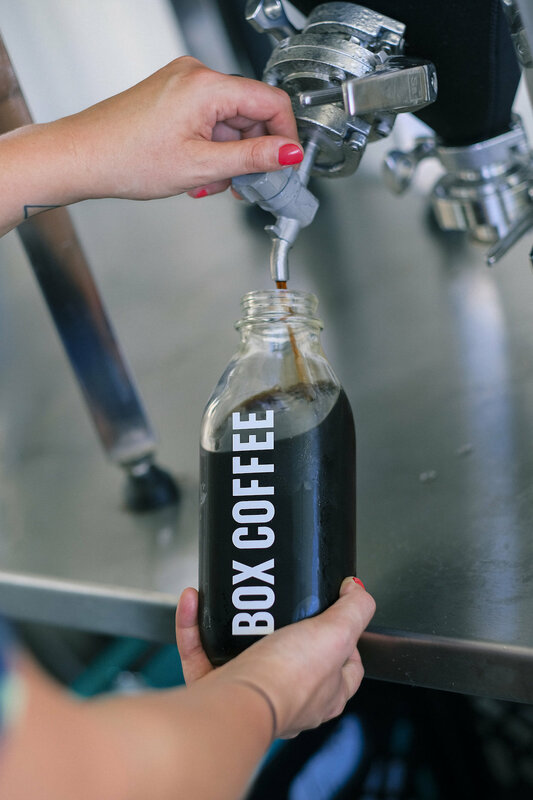 Box Coffee in now open in Miami’s Wynwood neighborhood, offering an all cold brew bar. 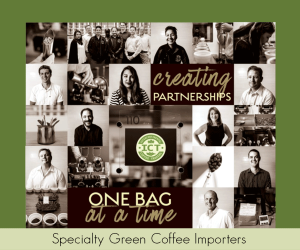 Photos courtesy of Box Coffee. 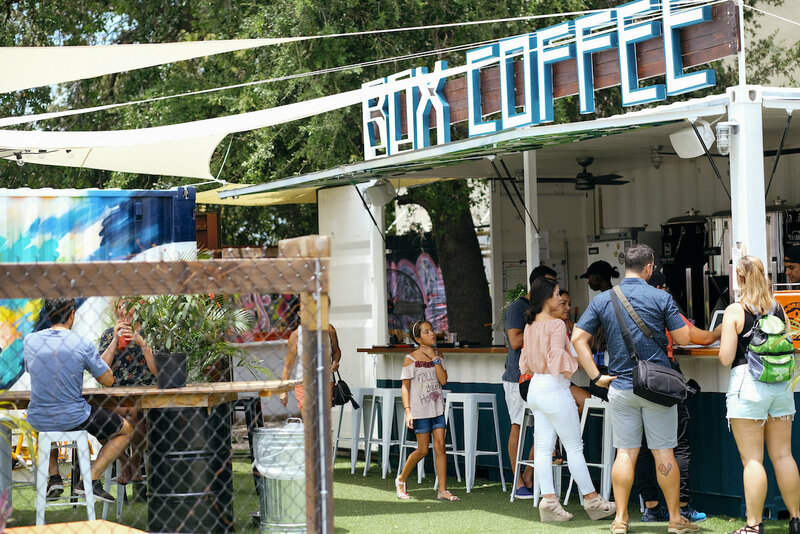 Sometimes in order to get people to think outside the box, you have to climb inside one yourself, or at least that’s the case for the latest all-cold coffee joint now open in the Wynwood neighborhood of Miami called Box Coffee. 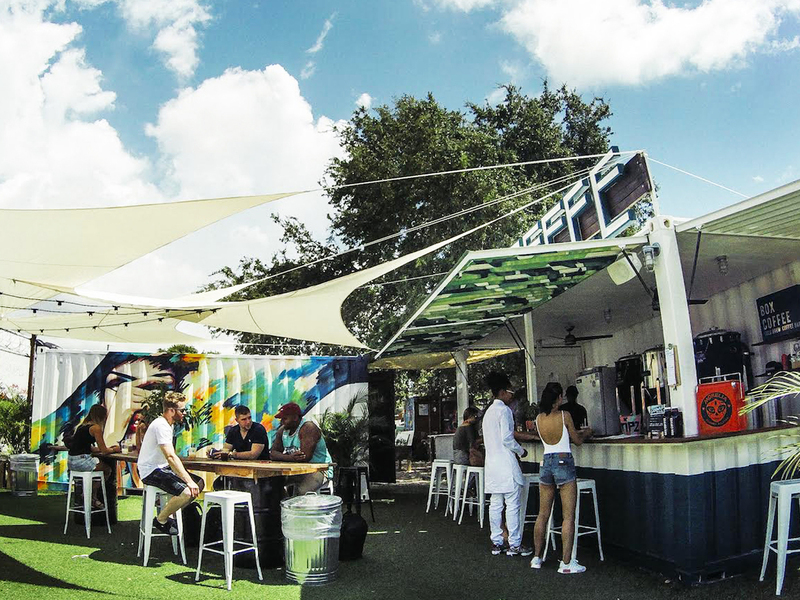 The box in question is a shipping container converted into a creative, heat-free coffee bar that adjoins shaded patio seating with colorful murals and faux grass, amounting to a roughly 1,200-square-foot mocktail party. 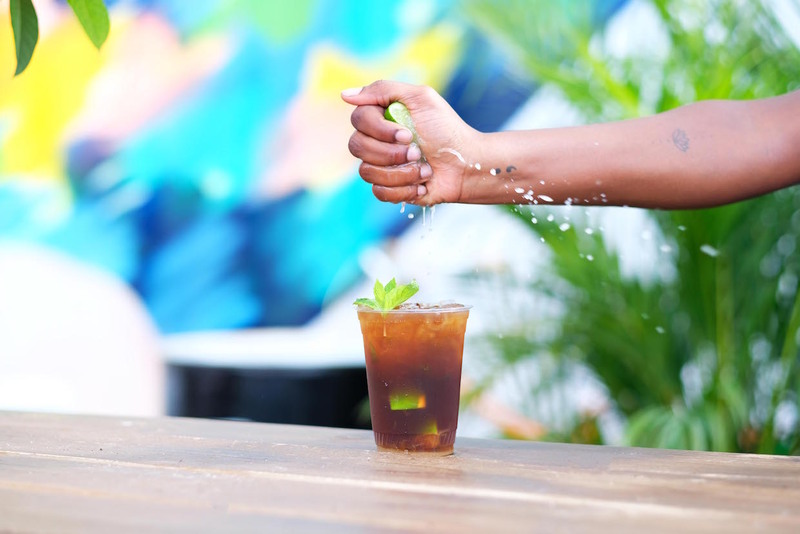 With a base of 16-hour immersion-style cold brew made from the company’s exclusive Box Blend — 45 percent Colombian, 45 percent Ethiopian and 10 percent Brazilian — Box Coffee serves some straightforward brew drinks as well as such adventurous concoctions such as a Florida Orange Fizz comprised of coffee, muddled orange and blood orange fizz, and the Ginger Mule, coffee, muddled lime, ginger beer and rosemary. The cold brew is made on site in full view of patrons, in a row of barrel fermenter tanks of the sort used in the beer brewing industry. 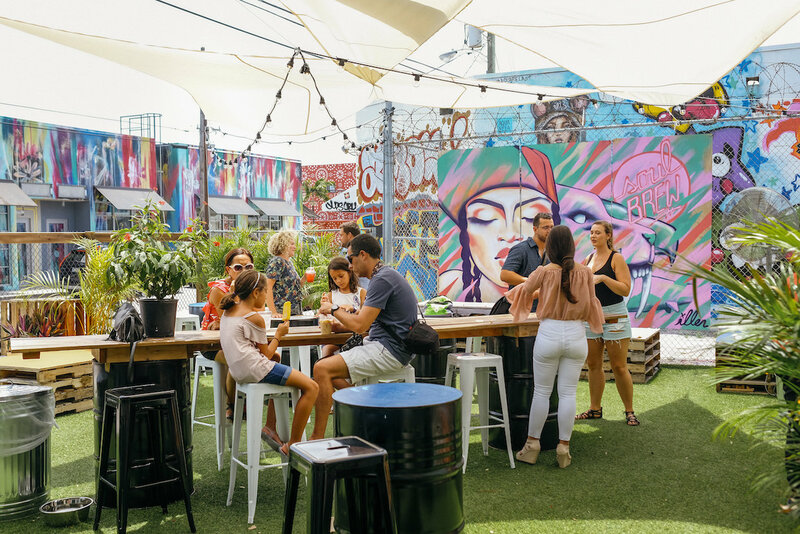 Coffees are sourced and roasted by Miami-based Per’La Specialty Roasters, with whom Milgrom and Co-Founder Lucas Cravero spent weeks developing the blend. 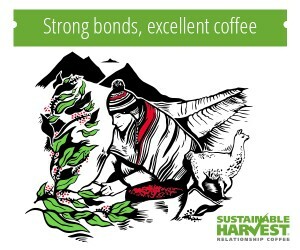 “[We were] trying different beans from different regions, all direct trade, with different roast profiles, and then cold brewing them all separately for different lengths of time, tasting, blending them and tasting again until we landed on our current blend and roast profile — a dark chocolatey, smooth, bold cold brew that is both approachable and complex,” Milgrom said of the process. 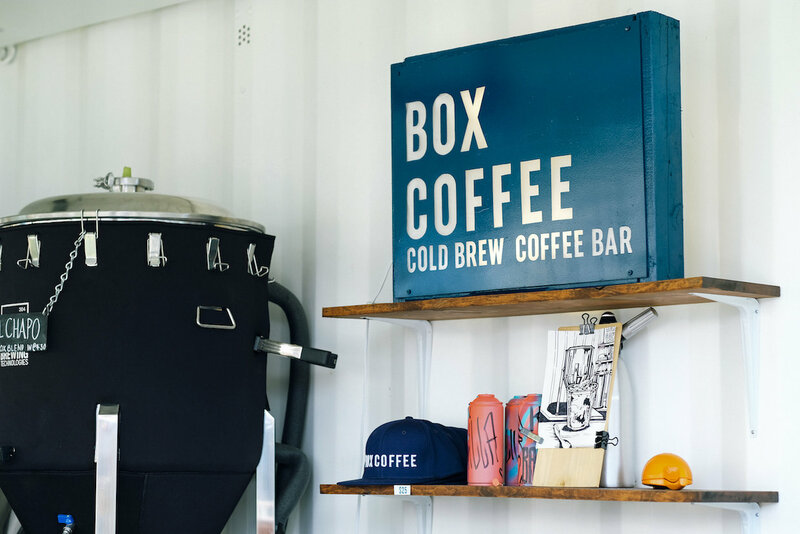 Box Coffee is now open at 175 NW 27th St. in Miami. Awesome! I use cold brew coffees all the time with my iced drinks I give out at the Farmer’s Market. I, too, have tried many blends and found Papua New Guinea PB (Medium Roast), Colombian (Light) and Brazil (Medium Light) to be my favorite. Glad you found something that works just as well! I don’t sell it, I just sell the coffee beans I fresh roast for every Saturday at FM. I give out 8 oz. cups of coffee of their choice or 8 oz. iced coffees (whole milk, almond milk, and all sorts of flavoring. An idea can change the taste of everything. Like box coffee. 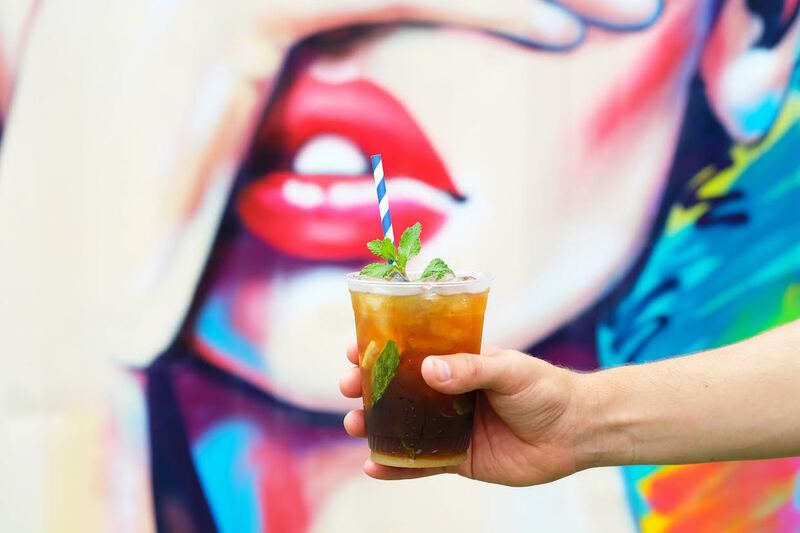 The idea of cold brew mocktail party can change the taste of drink coffee. I am also a coffee addict. I like to brew coffee on my own kitchen to taste the natural handground flavour. Cold or hot, the idea of gathering people is awesome. I like to use handground coffee grinder to brew. 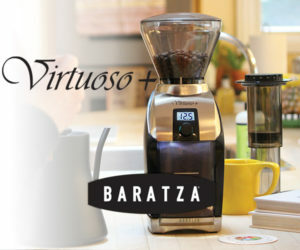 I searched in your site & OVER Internet for handground coffee grinder to buy. 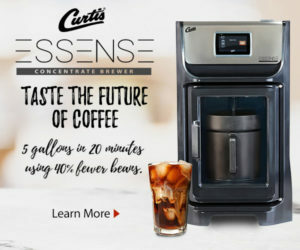 I just saw this reviews http://www.homegadgets.online/kitchen-kitchenaid/best-coffee-grinder-reviews/ can anyone suggest any best handground coffee grinder…?